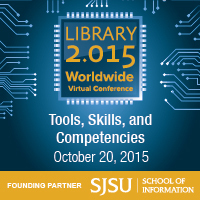 Exploring standards to transform learning in school libraries. Standards can indeed help measure practice, but Leading Learning does much more. By focusing on the needs of the learner, Leading Learning provides a framework for growth. Every school, no matter the status of its library program, can find itself in this framework and decide on tangible steps for improvement. As a catalyst for igniting the design of futures oriented learning the document positions the school library learning commons as critical to innovative pedagogical approaches for the new century. Participants will explore the potential of the new Canadian standards to drive school improvement and consider approaches to apply to their own transformations. Connect here to the live recording of the session in Blackboard Collaborate. 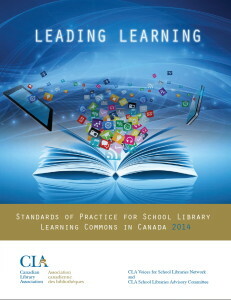 Download a copy of Leading Learning and its Bibliography here. 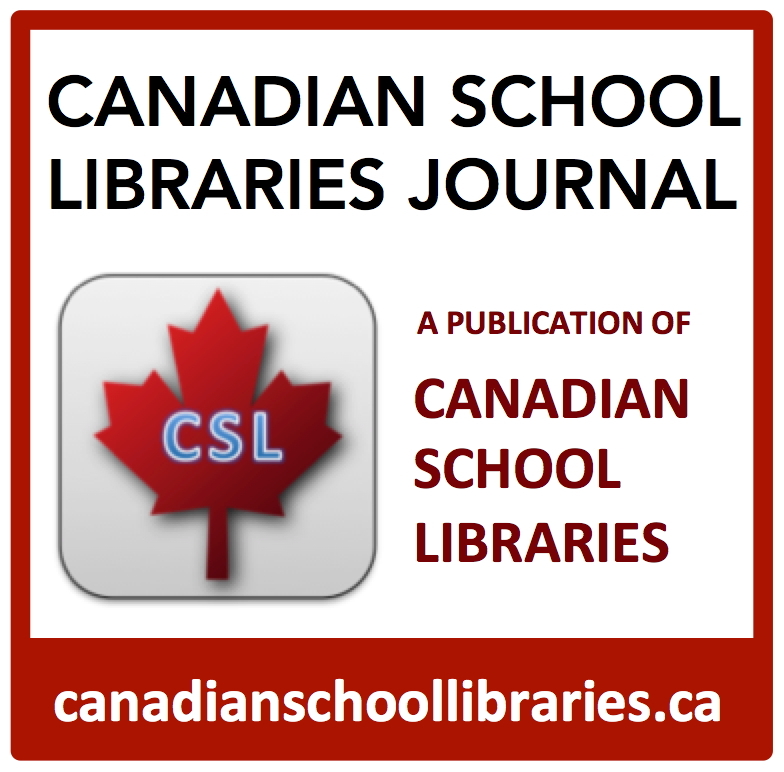 Collaborative Leadership in the School Library Learning Commons: New Canadian Standards and New Possibilities, by Carol Koechlin and Anita Brooks Kirkland, prepared for the International Association of School Librarianship (IASL) conference, 2015. Leading Learning Goes International (Blog post by AnitaBK). National and International recognition for Leading Learning. NOTE: After you submit your responses, click on See previous responses to see what everyone else is saying! 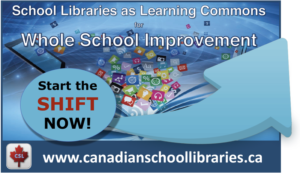 Facilitating collaborative engagement to cultivate and empower a community of learners: British Columbia educators talk about the difference a learning commons approach has made in their schools. Advancing the learning community to achieve school goals: Teacher-librarian Lisa Dempster at Riverdale Collegiate Institute in Toronto produces a detailed annual report, making connections to the school’s success plan. Cultivating effective instructional design to co-plan, teach and assess learning: Carol Koechlin and Dr. David Loertscher suggest making use of collaborative virtual spaces to design construction zones for learning. These spaces are called Knowledge-Building Centers (KBC). Connect to the KBC Google site Carol & David created for their Library 2.015 presentation. 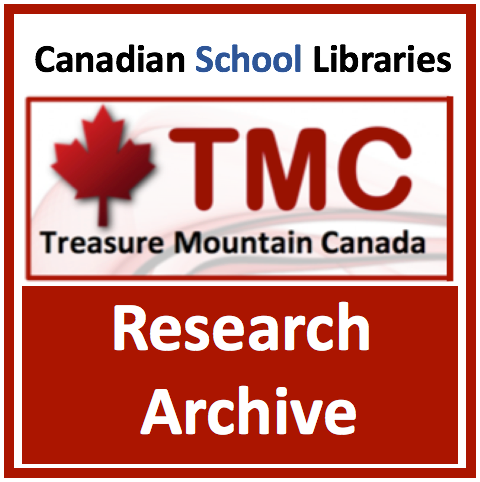 Fostering literacies to empower life-long learners: Teacher-Librarian Shannon Welch of Walter Murray Collegiate in Saskatoon, Saskatchewan creates LibGuides to support reading and writing literacies in multiple media. Designing learning environments to support participatory learning: Teacher-librarian Anna Crosland of Georges Vanier Elementary School in British Columbia creates a physical learning environment where students use technology for learning and collaborate to share that learning with the world through the library learning commons’ virtual space.